A quantum simulator is designed to explore specific problems, for instance in quantum chemistry and bio-molecular physics, where there are important open questions related to energy transport and molecular structures. 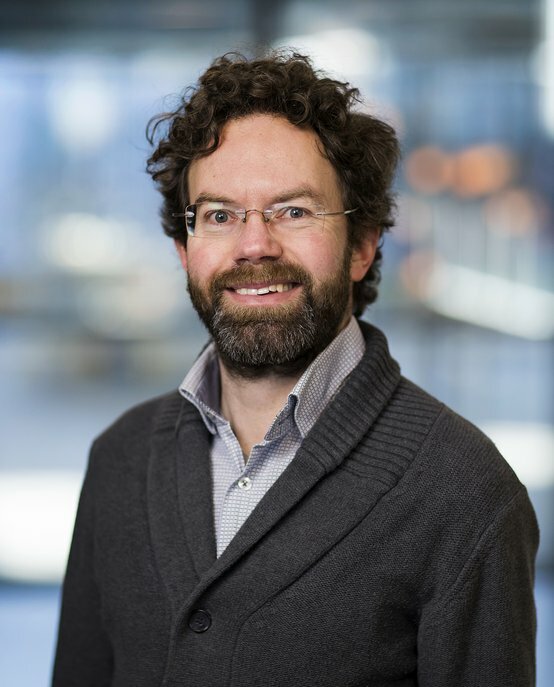 Servaas Kokkelmans is Associate Professor in the Coherence and Quantum Technology group in the Department of Applied Physics at Eindhoven University of Technology and scientific director of the Center for Quantum Materials and Technology Eindhoven QT/e. His research focuses on strongly-interacting quantum gases and quantum simulators. He is an expert on the manipulation of interatomic interactions. Kokkelmans aims to simulate the conditions at the heart of a neutron star in a unitary quantum gas, a line of research that may have tremendous impact on the development of quantum materials and quantum computers and the understanding and applications of superconductivity. Kokkelmans has expertise in the many-body properties of strongly interacting Fermi and Bose gases, ultracold collisions, Feshbach resonances as tool for few-body physics including ultracold molecules and Efimov trimers, ultracold plasmas and Rydberg atom quantum simulators. Servaas Kokkelmans studied Physics at Eindhoven University of Technology (TU/e), obtaining his MSc in 1996 and his PhD on interacting atoms in clocks and condensates in 2000. After this he went abroad for two two-year postdoctoral research positions. The first at JILA, University of Colorado (USA) and the second at Laboratoire Kastler Brossel, ENS (France). In 2004, he returned to TU/e to take on the position of Assistant Professor in the Department of Applied Physics at TU/e. In 2017, Kokkelmans became Associate Professor at TU/e. In 2018, he founded the Center for Quantum Materials and Technology Eindhoven QT/e.